Lisbon, the capital of Portugal, is built on seven hills at a place where the Tagus River meets the Atlantic Ocean. It is a port city with a very rich history and a vibrant modern culture. 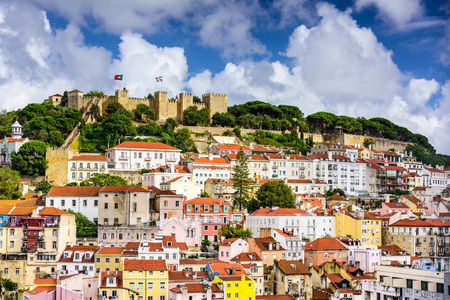 Some of the city's trademarks are its old squeaky trams, hilly narrow streets in the districts of Alfama and Bairro Alto, and numerous elegant squares. Lisbon is the oldest city in Western Europe. It was called Felicitas Julia during Julius Caesar's times. After the Roman rule, Lisbon was conquered by Muslim forces from North Africa and the Middle East, so many mosques were built in the city. In the 12th century, the city was reconquered by the Crusaders, and it has been a major political, economic and cultural center of Portugal ever since. During the Age of Discovery (a period of European history when overseas exploration started), many expeditions left from Lisbon, including Vasco de Gama's famous journey to India in 1498. At the same time, Lisbon served as the main European hub for trading spices, sugar, textiles and other goods with Africa, India and the Far East. In 1755, the city was nearly completely destroyed by an earthquake, when 85 percent of Lisbon's structures were ruined. Portugal has been a republic since 1974, and it is now an important member of the European Union. Built in the 16 century, this fortified tower played an important role during the Age of Discovery in Portugal, having served as a part of the defense system. 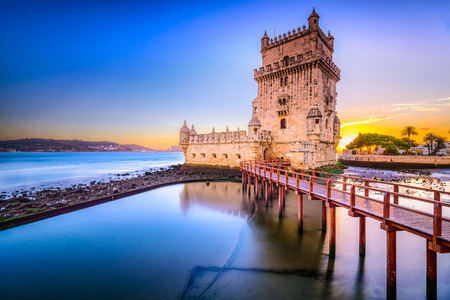 The tower sits on the bank of the Tagus River, and it is considered to be one of the Seven Wonders of Portugal. Beige and white on the outside, the structure consists of two parts: the bastion and the four-story tower on the north side of the bastion. Tourists are welcome to visit the interior of the tower, and to enjoy truly breathtaking views of the river from one of the tower's terraces. 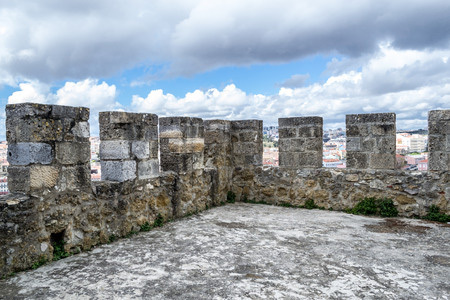 São Jorge Castle stands tall at the top of a hill just above the historic center of Lisbon. It dates from medieval times, and it was built as a fortification by the occupying Moorish forces (the Moors were a group of North African Arab people) in the 10th century. When it was renovated in the 14th century, the castle counted as many as 77 towers. Over the years, it served as a royal palace, a soldier's hospital and, occasionally, as a theater. São Jorge Castle was severely damaged in the 1755 Lisbon earthquake, and has lost its strategic importance since. The castle complex offers an impressive view of the historic part of the city. It is also very rich in sightseeing-worthy places itself, as it consists of the castle, the ruins of the royal palace, gardens, and a spacious square. The main square Praça d'Armas is beautifully decorated with bronze cannons and statues, and definitely one of the most visited attractions in Lisbon. This 12.3 kilometers (7.6 miles) long bridge is a relatively new structure in Lisbon, having opened for traffic in 1998. It is the longest bridge in Europe, and is supported by additional 4.8 kilometers (3.0 miles) of access roads, which makes the overall experience of seeing the bridge from afar even more amazing. On average, the bridge serves 52,000 cars and trucks each day. In order to be able to withstand such traffic, Lisbon's strong winds and unforeseeable weather conditions, the bridge was built to survive an earthquake up to 4.5 times stronger than the 1755 Lisbon earthquake. Crossing this bridge is a great way to realize how magnificent the Tagus River is, and move between northern and southern regions surrounding Lisbon. Bairro Alto is Lisbon's most popular nightclub district. The streets of Bairro Alto are long, narrow and colorful, shaped by three to four-story buildings and asymmetric facades. The city of Lisbon has invested greatly in the remodeling of the district in recent years, so many new bars, shops and traditional Portuguese restaurants were open. 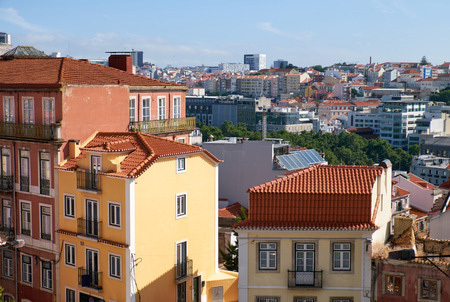 Bairro Alto is the youth neighborhood of Lisbon. The district gives a great insight into Lisbon's subcultures, and it is a perfect place to familiarize yourself with fado, Portuguese traditional music. Cars are restricted in Bairro Alto, which makes you feel isolated from city noises and traffic jams. 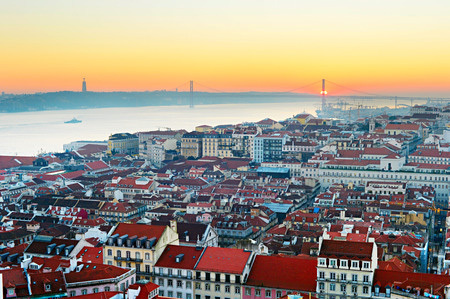 With very warm weather in the summer, and mild winters, Lisbon is a popular tourist destination all year round. Yet, as it often rains, it is advisable to always carry an umbrella or a raincoat with you. If you are in the mood for a long, uphill walk, Bairro Alto can be reached on foot. Otherwise, you should go with funiculars (a railway going up and down a mountain), which promise some stunning views of the city. Cabo de Roca, the westernmost point of Continental Europe, is less than an hour away from downtown Lisbon, so it is a perfect destination for a half-day tour. to stand next to someone. to take money from an ATM. What does "in the mood" mean? The main square is beautifully decorated __________ bronze cannons and statues. The neighborhood gives a great insight __________ Lisbon's subcultures. The tower __________ an important role during the Age of Discovery. 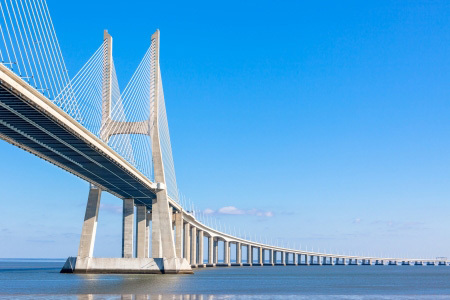 Vasco de Gama Bridge was built to survive an earthquake 4.5 times __________ than the 1755 Lisbon earthquake. You can see the bridge __________ afar. When did Vasco de Gama leave Lisbon for his famous expedition to India? Why was the city nearly completely destroyed in 1755? Because there was a big fire. Because of the Great War. Because there was an earthquake. Who reconquered Lisbon in the 12 century? What was traded in Lisbon between different traders from Europe, Africa and the India? Over the years, São Jorge Castle served as a royal palace, a soldier's hospital and a theater. Over the years, São Jorge Castle mainly served as the royal family's summer house. Belém Tower was very important during the Age of Discovery because it served as a lighthouse. Belém Tower was very important during the Age of Discovery because it served as a part of the defense system. "Bairro Alto is a very popular area, so you should be prepared for frequent traffic jams." 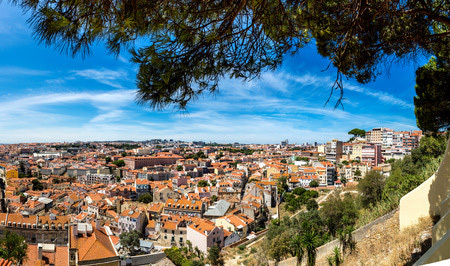 "Being in Southern Europe, Lisbon has very pleasant and warm summers."